The Simple English Wiktionary has a definition for: truth. Truth is what is real. A thing is true if it is a fact. The English word truth is from Old English tríewþ, tréowþ, trýwþ, Middle English trewþe. 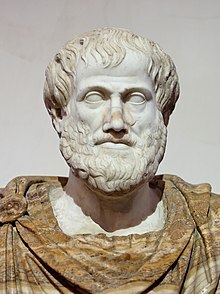 Aristotle said: “To say of what is that it is not, or of what is not that it is, is false, while to say of what is that it is, and of what is not that it is not, is true”. Truth is a noun, and the corresponding adverb and adjective is true. How to find out whether a proposition (a claim) is true. How to find the truth when presented with a particular question or problem. Many philosophers have given opinions on these issues. For example, it is a truth (true) that a dog is an animal. It is untrue (or false) that a dog is a plant. Something untrue is false. A half truth is something true mixed with something false, or where something is partly true but you do not tell the whole story. If the things you say are true, then you are speaking the truth, or speaking truly. Saying something that is untrue can be called 'a lie', if the person who is saying it knows it is untrue. A person who says something untrue is often called a "liar". True is also one of the two basic values of logic. The other such value is usually called false. Aristotle was the first to put logic into a formal framework. His version is called propositional logic (see also syllogism and deductive reasoning). Other forms of logic use types of mathematics (mathematical logic) or symbols. Boolean algebra is about things being true and false. The relationship between verbal claims and external reality is handled by epistemology and the philosophy of science. Philosophers argue over what makes up truth and how to define and identify truth. This page was last changed on 20 November 2017, at 02:24.